Anne Marie Whitesell is Professor, LL.M. Program and Faculty Director, Program on International Arbitration and Dispute Resolution. Ms. Whitesell has practised with law firms in both the United States and in France, and has acted as arbitrator and counsel in numerous international arbitration cases. She was Secretary General of the ICC International Court of Arbitration from 2001 to 2007. She also previously taught at the Université de Paris I and the Institut de Droit Comparé. 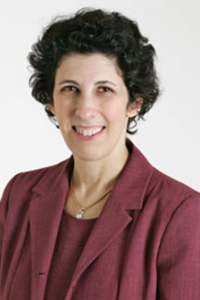 She serves as a member of various boards and committees related to dispute resolution and is the Director of the Alternative Dispute Resolution Center of the International Law Institute. Ms. Whitesell received her A.B. from Smith College, her J.D. from the University of Virginia School of Law and her Doctorate in Law from the Université de Paris I, Panthéon-Sorbonne. She is admitted to the New York State Bar, the District of Columbia Bar and the US District Courts for the Southern and Eastern Districts of New York. Interim and Emergency Relief in International Arbitration (Anne Marie Whitesell, Diora Ziyaeva, Ian A. Laird & Borzu Sabahi eds., New York: JURIS 2015). Anne Marie Whitesell, Revista Brasileira de Arbitragem, Dec. 2015, at 244-248 (reviewing, Leonardo de Campos Melo, Recognition and Enforcement of Foreign Arbitral Awards in Brazil – A Practitioner’s Guide (2015)).